Dreams are like clouds...they change shape over time. At least, that's what my daughter's last summer before college has taught me. See, living in Pritchett, Wisconsin, was not my dream -- I'd wanted to be a model or an actress, living an exciting life in a big city. Instead, I fell for a farmer and wound up a mother before our first wedding anniversary! Not that I don't love being Sam's wife or Bree's mom -- because I do. Well, now Bree has entered me into a Christian beauty pageant, and I'm being treated like Pritchett's pride and joy. 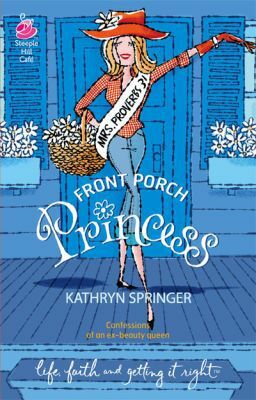 So I'm preparing to be a "Proverbs 31 Woman," dealing with my best friend's newly uncovered secrets and watching my daughter follow in my footsteps by falling for a local boy -- all while being treated as princess of my own front porch!